Starting this month, Chinese citizens wishing to travel to South Korea will not be able to book trips through travel agencies, according to media reports. Thought to be a response to Korea’s planned deployment of a US missile defense system, the measure could inflict severe financial damage. Multiple media outlets have reported that the China National Tourism Administration (CNTA) held an official meeting with Beijing tour operators on Thursday to inform them of the new directive. Operators have been told to clear all the pre-purchased tours on sale by March 15, or face fines, and even potential closure, the Financial Times reports citing a source privy to CNTA instructions. Wang Ki-young, a director at South Korea’s culture ministry, which was forced to convene an emergency meeting, told the newspaper the ban will initially target travel agencies located in Beijing before being rolled out across the country. China has not officially confirmed its plans but has indirectly hinted that relations between the two Asian nations are suffering due to plans to build THAAD - Terminal High Altitude Area Defense – a multi-billion defense system that includes a powerful radar, and a launcher capable of intercepting ballistic missiles in mid-air. 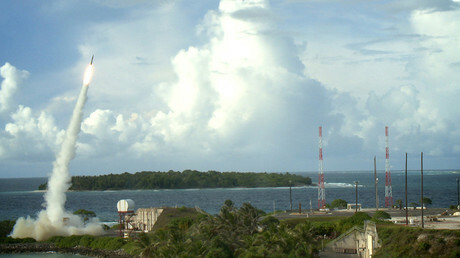 "Rather than making speculations out of thin air or filling oneself with suspicions, it is better to heed the voice of the people and take effective measures to avoid affecting China-Korea relations and bilateral exchanges and cooperation," foreign ministry spokesman Geng Shuang said in Beijing, when asked about the connection between the rumors and THAAD. 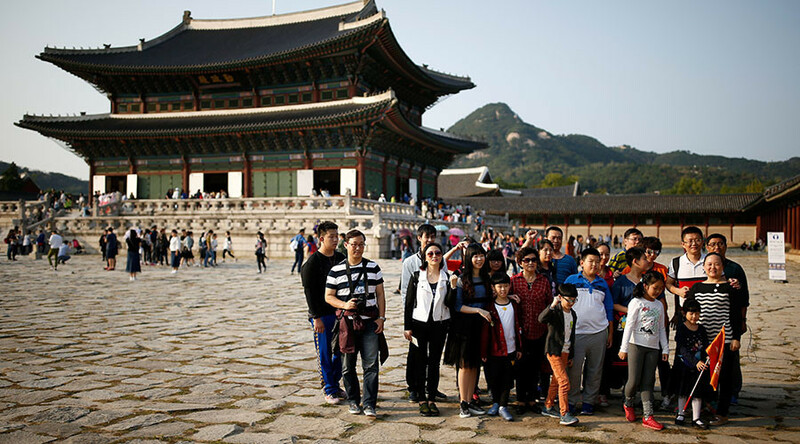 According to the Korea Tourism Organization (KTO), just over 8 million Chinese citizens visited the country last year, comprising nearly half of the entire tourist total. Seventy percent of those came on just the type of organized trips that have now been outlawed. 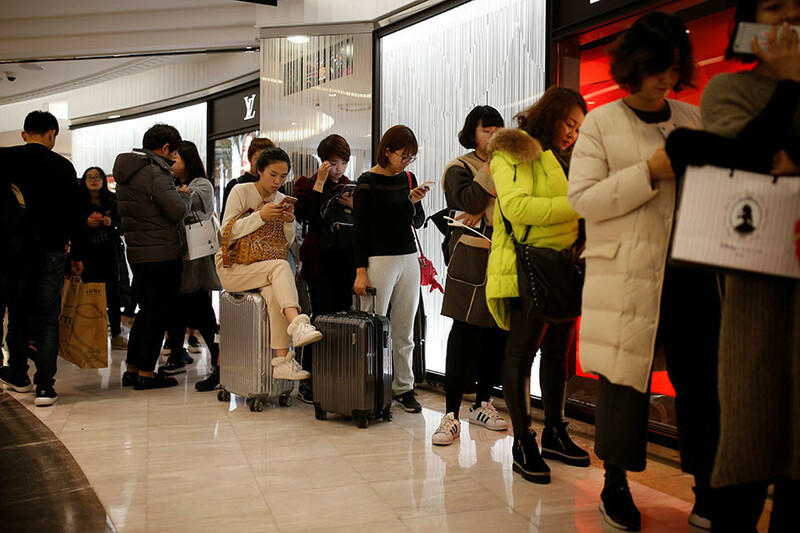 The visitors spent more than $7 billion in duty-free shops alone, and the KTO believes that even a 50 percent fall in the number of tourists will lead to an annual loss of $10 billion for South Korea’s tourist industry. “We cannot find any good ideas against the Chinese government's moves,”admitted a duty-free official in an interview with The Korea Times. The deployment of THAAD was approved by Seoul last year, before the outbreak of current political tensions, and remains official policy. While the ruling party is still in favor of the missile defense system, the opposition Democratic Party, which tops the polls, has advocated postponing the implementation until after the next election, or even putting it off altogether, if a compromise needs to be found with China. 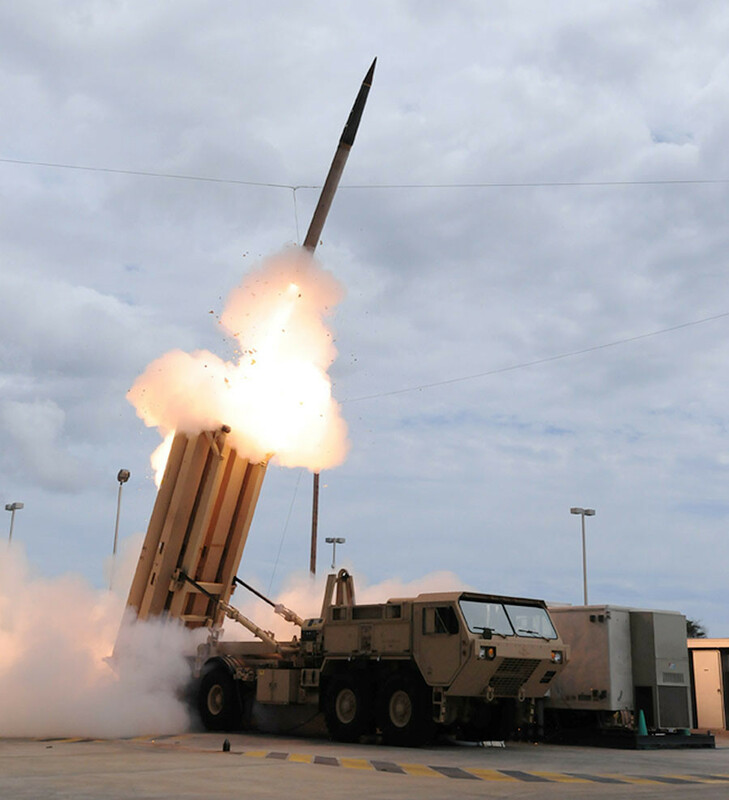 With its recent missile tests, North Korea remains a wildcard, and Seoul insists that THAAD is a defensive measure targeted at Pyongyang and not Beijing. Nonetheless, Beijing officials have been relentless in their criticism of the proposal, which they see as a major intrusion into their sphere of influence by the United States. With no official sanctions approved, there have been dozens of steps taken by Chinese officials that appear hostile to South Korea. Most visibly, South Korean artists have reportedly been denied entry visas, its cosmetics have been stopped by customs officials, while five prominent Korean shows have been taken off air, and removed from streaming sites. Lotte, the South Korean conglomerate that agreed to free up land for THAAD - which has retail 150 branches in China – has been under what has been construed as legal pressure, subjected to frequent health inspections, and denials of construction permits. “Lotte stands to lose Chinese customers and the Chinese market. That would be a very large slice out of their business pie. The right decision would be for Lotte to defer or reject the THAAD deal,” warned Chinese state agency Xinhua in an editorial last month. About 40 percent of South Korea’s exports go to China, a number that amounted to $124 billion last year. China exports less to Korea, both in absolute terms, and in relative ones, than vice versa, as it is a much bigger economy, meaning that it can absorb any trade war more easily. "We don't have to make the country bleed, but we'd better make it hurt," said another editorial in the Chinese state-owned Global Times newspaper this week.